Chicago, IL (November 22, 2017)–InfoTech Resources today announced it has earned the annual Excellence Award from TechServe Alliance. The award recognizes IT & engineering staffing and solutions firms that have demonstrated outstanding performance, team productivity and dedication to continuous improvement. TechServe Alliance, the national trade association of the IT & engineering staffing and solutions industry, InfoTech at its Annual Conference in Phoenix, AZ, November 9-11, 2017. 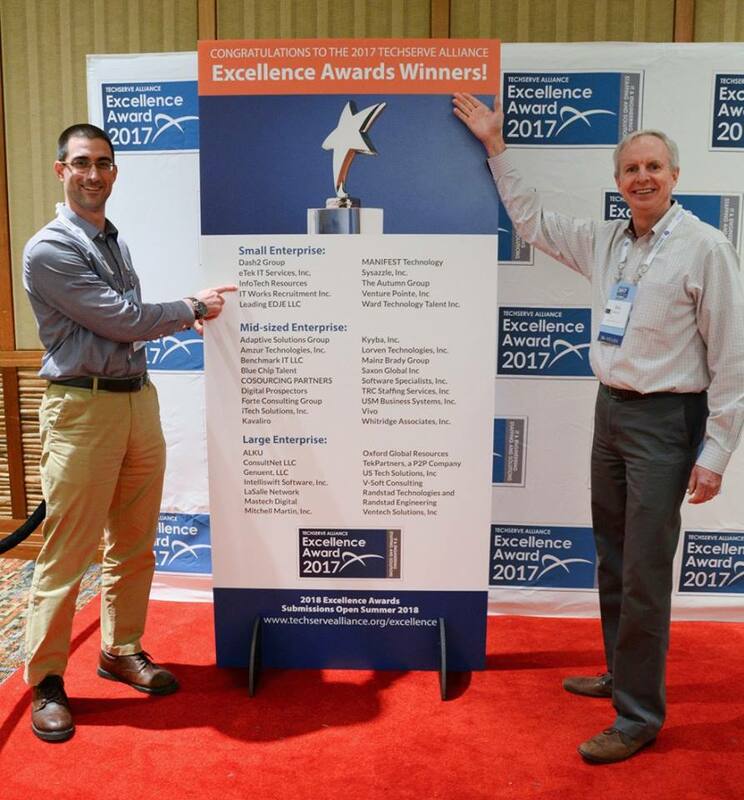 “Recognition by the IT and engineering staffing and solutions industry’s national trade association is an incredible honor. We are both proud and humbled to have met the high standards necessary to earn the award. I speak for our entire team when I say that we will not rest on our laurels. In the coming year, we look forward to redoubling our efforts in delivering extraordinary service to our clients and consultants. We hope to be in position to earn this mark of distinction in future years,” said Bob Moore, President, InfoTech Resources.